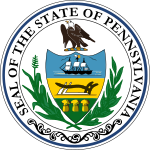 The 2012 United States House of Representatives elections in Pennsylvania were held on Tuesday, November 6, 2012, to elect the 18 U.S. Representatives from the state of Pennsylvania, a loss of one seat following the 2010 United States Census. The elections coincided with the elections of other federal and state offices, including a quadrennial presidential election and an election to the U.S. Senate. Primary elections were held Tuesday, April 24. Republicans control redistricting in Pennsylvania, which lost one seat in reapportionment. A map released on December 13, 2011, effectively merged the 4th and 12th congressional districts, represented by Democrats Jason Altmire and Mark Critz. The map was passed by the Pennsylvania Senate. Pennsylvania's 1st congressional district has been represented by Democrat Bob Brady since 1998. Pennsylvania's 2nd congressional district has been represented by Democrat Chaka Fattah since 1995. He ran unopposed in the Democratic primary. Robert Allen Mansfield, Jr. ran unopposed in the Republican primary. Independent candidate James Foster also ran creating a three-way race. Pennsylvania's 3rd congressional district has been represented by Republican Mike Kelly since January 2011. He ran unopposed in the Republican primary. Republican Todd Platts, who has represented Pennsylvania's 19th congressional district since 2001 and had been expected to seek re-election in the new 4th district, will not seek re-election. Pennsylvania's 5th congressional district is currently represented by Republican Glenn Thompson, who was first elected in 2008. Pennsylvania's 6th congressional district has been represented by Republican Jim Gerlach since 2003, and he is running for re-election. Pennsylvania's 7th congressional district has been represented by Republican Pat Meehan since January 2011. He is running for re-election. Pennsylvania's 8th congressional district has been represented by Republican Mike Fitzpatrick since January 2011. Fitzpatrick previously represented the district from 2005 until 2007. He ran unopposed in the Republican primary. Pennsylvania's 9th congressional district has been represented by Republican Bill Shuster since 2001. Karen Ramsburg, a nurse from Mercersburg, had been running as an Independent, but after no Democrat filed to run, she mounted a write-in campaign for the April primary. She was successful, receiving enough write-in votes to receive the Democratic nomination. Pennsylvania's 10th congressional district has been represented by Republican Tom Marino since January 2011. Pennsylvania's 11th congressional district has been represented by Republican Lou Barletta since January 2011. Democrats Mark Critz, who has represented Pennsylvania's 12th congressional district since 2010; and Jason Altmire, who has represented Pennsylvania's 4th congressional district since 2007, both sought re-election in the new 12th district. Democrat Allyson Schwartz, who has represented Pennsylvania's 13th congressional district since 2005, sought re-election. Incumbent Democrat Mike Doyle defeated challenger Janis C. Brooks in the Democratic primary. He faced Republican Hans Lessmann in the general election. Pennsylvania's 15th congressional district has been represented by Republican Charlie Dent since 2005. Incumbent Republican Joe Pitts will face Democrat Aryanna C. Strader. They each ran unopposed in their respective primaries. Democrat Tim Holden, who has represented Pennsylvania's 17th congressional district since 2003, ran for re-election. Pennsylvania Republicans, who controlled the redistricting process after the 2010 United States Census, drew this district to be much more Democratic, taking in parts of Scranton and Wilkes Barre. Holden, a Blue Dog Democrat who had represented a very Republican district for 10 years, was considered vulnerable to a primary challenge due to the bluer hue of the new district. Holden was defeated in the Democratic primary by attorney Matt Cartwright, 57-43. Holden's opposition to the Patient Protection and Affordable Care Act and climate change legislation are believed to have contributed to his defeat by a more liberal opponent. Republican Tim Murphy, who has represented Pennsylvania's 18th congressional district since 2003, successfully sought re-election. Evan Feinberg, former aide to U.S. Senators Tom Coburn and Rand Paul Murphy won the primary with over 60% of the vote. ^ Hirschhorn, Dan (March 30, 2011). "Pennsylvania's Democratic face-off". Politico. Retrieved June 27, 2011. ^ Mellott, Kathy (December 13, 2011). "Congressional changes: Critz's 12th and Altmire's 4th to be merged". The Tribune-Democrat. Retrieved December 14, 2011. ^ Gibson, Keegan (December 15, 2011). "Pa. Senate Passes Congressional Map 26-24". PoliticsPA. Retrieved December 16, 2011. ^ a b c d e f g h i j k l m n o p q r s "Statistics of Presidential and Congressional Election of November 6, 2012". Karen Haas, Clerk of the United States House of Representatives. February 28, 2013. Retrieved April 7, 2013. ^ Bednarski for Congress is listed separately as a political party in the recapitulation of votes cast in Pennsylvania in the Statistics of the Presidential and Congressional Election of November 6, 2012. ^ Gelbart, Marcia (June 15, 2011). "Former Phila. judge Jimmie Moore says he'll challenge Brady for Congress". The Philadelphia Inquirer. Retrieved June 26, 2011. ^ Toeplitz, Shira (June 16, 2011). "Party Boss Brady Draws Primary Challenger". Roll Call. Retrieved June 26, 2011. ^ Gibson, Keegan (February 29, 2012). "Moore Drops Primary Challenge to Brady". PoliticsPA. Retrieved March 1, 2012. ^ Hill, Miriam (January 12, 2012). "Featherman to take on Brady". The Philadelphia Inquirer. Retrieved January 30, 2012. ^ Ardner, Danielle (March 6, 2012). "Ballot Mischief Thins Out Dems PA-3". PoliticsPA. Retrieved March 24, 2012. ^ Malloy, Daniel (June 12, 2011). "Dahlkemper is weighing another run for old seat". Pittsburgh Post-Gazette. Retrieved June 26, 2011. ^ Guerriero, John (December 23, 2011). "DiNicola won't seek 3rd District congressional seat in 2012". Erie Times-News. Retrieved January 11, 2012. ^ Erwin, Erica (August 18, 2011). "Erie Mayor Sinnott decides against U.S. Congress run". Erie Times-News. Retrieved August 18, 2011. ^ a b "Two area Democrats announce congressional bids". The York Dispatch. January 21, 2012. Retrieved January 23, 2012. ^ McLaughlin, Matthew (January 21, 2012). "Southampton Township man to run for Platts' seat". The Sentinel. Retrieved January 23, 2012. ^ a b c d e Kauffman, Christina (January 23, 2012). "Commissioner Reilly enters field for Platts' seat". The York Dispatch. Retrieved January 23, 2012. ^ Vickers, Robert J. (January 19, 2012). "Platts' retirement sets up free-for-all for seat in Congress". The Patriot-News. Retrieved January 23, 2012. ^ Gibson, Elizabeth (January 23, 2012). "Sean Summers, lawyer for Albert Snyder in case against Westboro Baptist Church, announces run for Congress". The Patriot-News. Retrieved January 28, 2012. ^ Toeplitz, Shira (January 30, 2012). "Pennsylvania: NRCC Aide Declines Bid for Todd Platts' Seat". Roll Call. Retrieved January 31, 2012. ^ Fitzgerald, Thomas (July 19, 2011). "Reading physician, an Iraq war vet, to challenge Gerlach". The Philadelphia Inquirer. Retrieved July 19, 2011. ^ Toeplitz, Shira (July 21, 2011). "Gerlach Challengers Headed to Democratic Primary Rematch". Roll Call. Retrieved July 31, 2011. ^ Brennan, Chris (February 6, 2012). "Mummers advocate to run for 7th Congressional Seat". Philadelphia Daily News. Retrieved February 8, 2012. ^ Gibson, Keegan (June 17, 2011). "Stollsteimer Meets With Pelosi, Sestak Meets with Donors". PoliticsPA. Retrieved June 26, 2011. ^ Gibson, Keegan (March 22, 2011). "Exclusive: Democrats Recruiting Jack Stollsteimer to Challenge Meehan in PA-7". PoliticsPA. Retrieved June 26, 2011. ^ Gibson, Keegan (January 12, 2012). "It's Official: Boockvar to Challenge Fitzpatrick". PoliticsPA. Retrieved January 12, 2012. ^ a b Weckselblatt, Gary (October 26, 2011). "Philo considers run at Fitzpatrick". phillyBurbs.com. Retrieved October 27, 2011. ^ Kristofic, Christina (January 5, 2012). "Ansinn withdraws from congressional race". phillyBurbs.com. Retrieved January 6, 2012. ^ Elyse Clonan (March 16, 2012). "Shuster Alone on the PA-9 Ballot, Might Face Dem". PoliticsPA. Retrieved March 2, 2014. ^ Jennifer Fitch (May 9, 2012). "Mercersburg write-in candidate to face Bill Shuster in the fall". Herald-Mail. Retrieved March 2, 2014. ^ Seder, Andrew M. (February 1, 2012). "Chris Carney will not run for Congress this year". Times Leader. Retrieved February 4, 2012. ^ Gibson, Keegan (January 9, 2012). "Updated: Anti-Pay Raise Activist Gene Stilp to Challenge Barletta". PoliticsPA. Retrieved January 10, 2012. ^ a b c Hirschhorn, Dan (July 21, 2011). "Barletta has first challenger". Politico. Retrieved July 31, 2011. ^ Seder, Andrew M. (July 25, 2011). "Kanjorski leaves options open, including try for office". Times Leader. Retrieved July 31, 2011. ^ Random, Roderick (July 23, 2011). "Maps, candidates, unsettled". The Times-Tribune. Retrieved August 23, 2011. ^ a b Roarty, Alex (December 19, 2011). "Christiana Won't Run in PA-12". National Journal. Retrieved December 21, 2011. ^ a b McNulty, Timothy; Olson, Laura (January 24, 2012). "Turzai changes his mind, won't run for Congress". Pittsburgh Post-Gazette. Retrieved January 24, 2012. ^ Weckselblatt, Gary (January 25, 2012). "Schwartz may face primary challenge from 'Occupier'". phillyBurbs.com. Retrieved January 30, 2012. ^ Itkowitz, Colby (July 18, 2011). "Lehigh Valley congressional race: Challenger emerges in Lehigh Valley congressional race". The Morning Call. Retrieved July 19, 2011. ^ McEvoy, Colin (November 17, 2011). "Jackson Eaton, of Allentown, announces he will run against Congressman Charlie Dent". The Express-Times. Retrieved January 11, 2012. ^ Itkowitz, Colby (May 12, 2011). "Callahan to take on Dent again?". The Morning Call. Retrieved June 26, 2011. ^ Gibson, Keegan (March 25, 2011). "Redistricting Watch: Primary Trouble for Tim Holden?". PoliticsPA. Retrieved June 26, 2011. ^ Jonathan Weisman (April 25, 2012). "2 House Democrats Defeated After Opposing Health Law". The New York Times. Retrieved April 26, 2012. ^ Clark, Adam (January 24, 2012). "Scranton attorney to challenge Holden in 17th District primary". The Morning Call. Retrieved January 30, 2012. ^ Singleton, David (April 14, 2011). "O'Brien: Congress run 'not something I'm considering'". The Times-Tribune. Retrieved June 26, 2011. ^ Itkowitz, Colby. "Petitions filed for Pa. primary". Retrieved 12 March 2012. ^ a b Gibson, Keegan (January 9, 2012). "Kaiser Won't Challenge Murphy". PoliticsPA. Retrieved January 10, 2012. ^ Gibson, Keegan (September 29, 2011). "Tim Murphy Gets a Challenger". PoliticsPA. Retrieved October 3, 2011. ^ Gibson, Keegan (January 23, 2012). "WashCo Commish Maggi Gets in Vs. Murphy". PoliticsPA. Retrieved January 28, 2012. This page was last edited on 30 March 2019, at 21:05 (UTC).